Joan Colby has published widely in journals such as Poetry, Atlanta Review, South Dakota Review, The Spoon River Poetry Review, New York Quarterly, the new renaissance, Grand Street, Epoch, and Prairie Schooner. Awards include two Illinois Arts Council Literary Awards, Rhino Poetry Award, the new renaissance Award for Poetry, and an Illinois Arts Council Fellowship in Literature. She was a finalist in the GSU Poetry Contest (2007), Nimrod International Pablo Neruda Prize (2009, 2012), and received honorable mentions in the North American Review’s James Hearst Poetry Contest (2008, 2010). Her poems are winners of the 2014 and 2016 Atlanta Review International Poetry Contest. She also was selected as an International Merit Award Winner in the 2015 Atlanta Review contest. She is the editor of Illinois Racing News, and lives on a small horse farm in Northern Illinois. 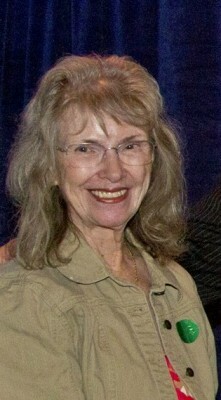 She has published 16 books including Selected Poems from FutureCycle Press which received the 2013 FutureCycle Prize; Properties of Matter (Aldrich Press – Kelsay Books); Bittersweet (Main Street Rag Press); and The Wingback Chair (FutureCycle Press). She has three new chapbooks–Ah Clio from Kattycompus Press, Pro Forma from Foothills Press, and Broke from FutureCycle Press–as well as a full length collection Ribcage from Glass Lyre Press which has been awarded the 2015 Kithara Book Prize. Colby is also an associate editor of Kentucky Review and a senior editor of FutureCycle Press.